This episode sponsored by the University of Ottawa Public Relations Association (uOPRA) features Nicolas Ruszowski of Fleishman-Hillard alongside uOPRA President Sharon Cheung and Young PR Pros host Kristine Simpson. Releasing the fourth and final episode of our 4-episode podcast, Take uOPRA to Work Day, we were thrilled to sit down and chat with the cool, calm and collective Nicolas Ruszowski, the esteemed senior vice president, partner and general manager of the Fleishman-Hillard’s Ottawa office, to discuss public affairs and what is expected of students in the government relations industry. His honest telling of what to expect gives great insight to students on portfolios, contacting professionals and even in health communications. Being a conservative government city, Ottawa offers many public sector job opportunities. Take advantage and lead the crowd through listening in on Nic’s solid advice. Thank you for listening in our special podcast series, Take uOPRA to Work Day! This is the last episode to our four-part series of zoning in on different industries within PR. 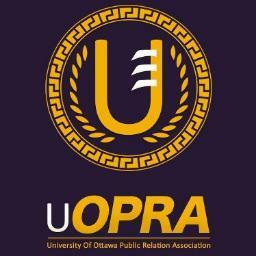 For more information on the uOttawa Public Relations Association please visit their blog, uopra.ca, where their students offer course reviews, PR company spotlights and PR event reviews (such as the recent Calypso PR Crisis and of the CPRS National Conference – Conversations 2013). We want to hear from you. How did you enjoy the series? Do you have questions for any of our guest hosts? You can post your comment below or on our Facebook Page, or on our Google+ page, or in our LinkedIn group, or on Pinterest, or send us an email at youngprpros@gmail.com, or send us a message on Twitter @youngprpros, @kristinesimpson or @kentjulia. This entry was posted in Take uOPRA to Work Day, Young PR Pros podcast and tagged communications, Fleishman-Hillard, government relations, kristine simpson, Nicolas Ruszowski, pr pros, public affairs, public relations, sharon cheung, take uopra to work day, university of ottawa, uopra, young PR professionals, young pr pros, young professionals, young pros by Kristine D'Arbelles. Bookmark the permalink.